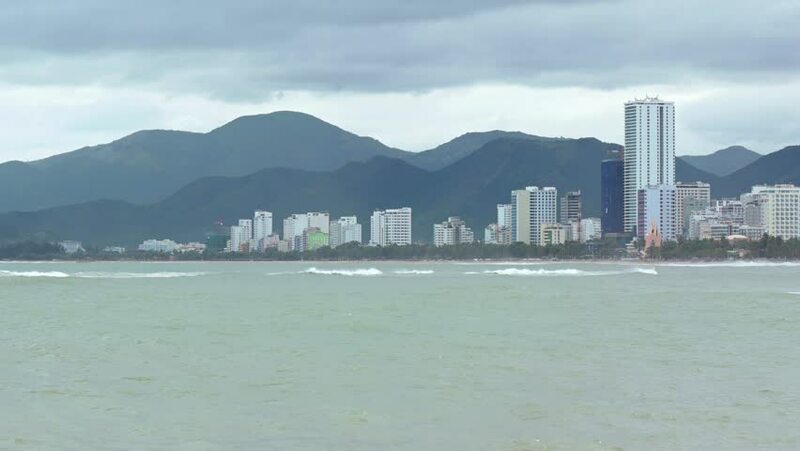 Cityscape of Nha Trang. Vietnam. stands against a background of low. forested hills. and over a tropical beach on an overcast day. hd00:12Time lapse video at sunset of Waikiki Beach and Diamond Head on the beautiful Hawaiian Island of Oahu. Video depicts fast moving clouds, waves, boats and people. 4k00:12Hong Kong bay at dime time. View from above.